Besides the lifts described in the preceding chapters, there are two or three dozen others which re recognized in different countries; for example, the British Amateur Weight Lifting Association lists 47 distinct lifts, all of which are considered standard lifts. To describe them all would take a lot of space; and while it would add to your knowledge of lifting it would not teach you much about developing yourself. 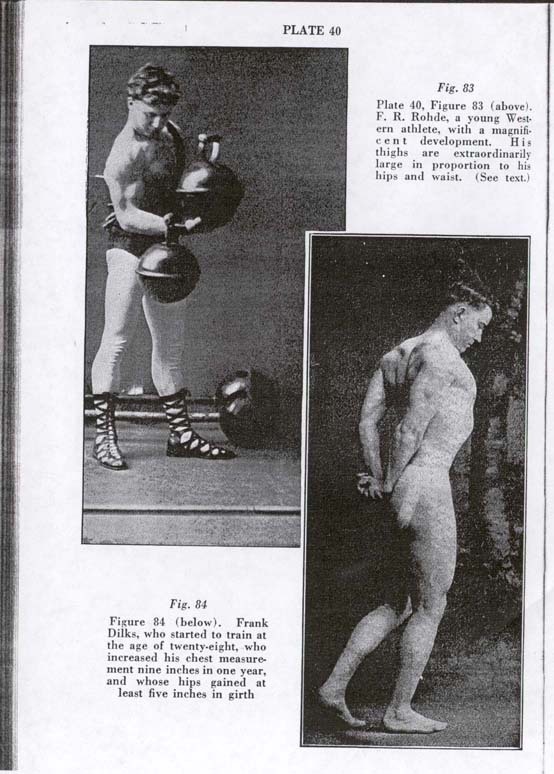 If you could read my daily mail, you would soon come to agree with me that the general public is far more interested in finely-developed bodies than in weightlifting records. When Sandow toured America, the people flocked to see him. If 3000 men attended one of his performances, it is safe to say that not 300 of them could the next day have told you how many pounds Sandow had lifted; but each and every one of the 3000 would probably have told you that Sandow was the finest physical specimen he had ever seen. 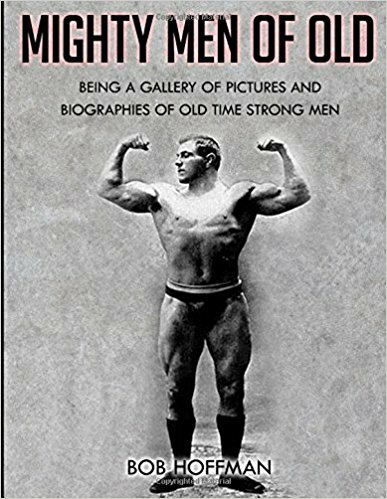 For every one man who says, "I would like to lift as mich as Sandow did," there are one hundred men who will say, "I wish I could get a build like Sandow's." There was a time when I thought that lifting records were the only thing that counted; whereas, I now think that records are comparatively unimportant, and that the development of the individual is all important. If I get a written report from a student of bar-bell work, the first things I want to know are whether his chest is getting bigger, his arms and legs assuming a certain size and shape, and what he weighs. His lifts are of minor importance, especially if he, like most pupils, is using the bar-bells for the sake of getting a better build and more muscular and organic vigor. In England, a man who uses a bar-bell seems to think of nothing except the amount of weight he can lift. 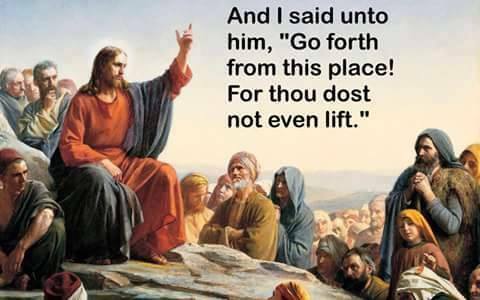 Consequently, he devotes his entire practice time to mastering the niceties of the lifting game. In this country, the vast majority of bar-bell users have but little use for lifting records and are after bodily improvement first, last and all the time, which is just as it should be. 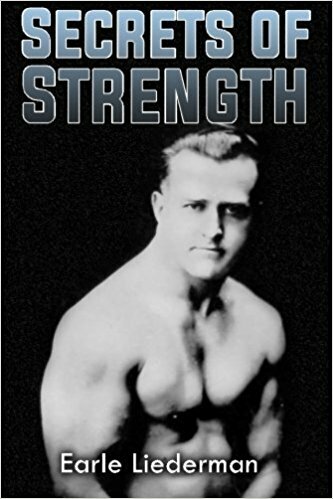 Within the last year, I have received hundreds of letters in which the writer would finish by saying, "I am convinced that by using adjustable bar-bells I can make myself much bigger and stronger and healthier; but I have no desire to become a professional lifter or to ever publicly exhibit my strength. 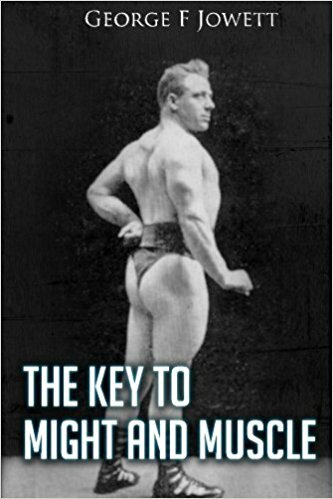 If I use a bar-bell, is it necessary for me to do the muscle-racking stunts that I have seen on the professional stage, and will I be compelled to use tremendously heavy weights?" (The wording of the different letters may vary a bit; but the foregoing is the way the average letter reads.) 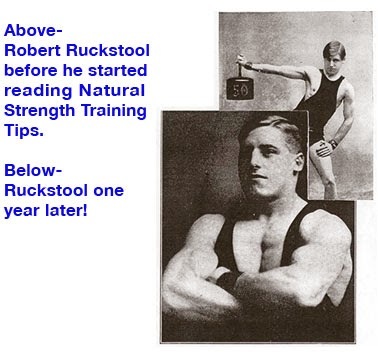 Invariably, I tell the writers of those letters that a man who uses a bar-bell does not have to do any sensational lifting stunts in order to become either beautifully proportioned, very strong, or very healthy. Many of the writers of such letters are middle-aged men; and why should a man of forty try to become a record-breaking lifter? If I answer such letters, I say that if I can take a man and lay out for him a course of progressive exercises, which will give him a better shape and far more physical and vital energy than he had when he was twenty-one, then I do not care a particle about how many pounds he can lift. Now understand, I like to watch a lifting contest, especially if the competitors are well- trained and highly-skilled lifters. Although I have seen a great deal of informal lifting and impromptu contests, it has been twenty years since I have been able to seat myself in the audience and watch a big public exhibition or competition. If I were present at such an affair, it was because I had gotten up the program and had to act as announcer, master of ceremonies and special reporter; and so, at the end of the affair, I was much more tired than any of the competitors were. I still like to see a first-class man make a big lift. I quite naturally feel elated if I see a friend, or a pupil, create a new record; but even then, I do not get the same solid satisfaction as I do when some other man writes a letter to tell me, that by practicing developing exercises with a bar-bell, he has restored himself to complete health; or that he has, by several months' steady practice, converted himself from a thin, undeveloped chap into an athlete of the Sandow-Matysek-Carr type. In the case of boys and very young men, one gets used to hearing of cases like that and one gets to take it as a matter of course; but when you get such a report from a man who was thirty-five or forty years old when he started to train, you get a feeling that you have witnesses a miracle. I have seen so many "near-miracles" accomplished through training with bar-bells that I sometimes wonder why people waste time on other training methods. Right here I want to interject a bit of caution. If you ever buy a bar-bell, the chances are nine out of ten that you will become fascinated with the lifting end of the game; especially with lifting bar-bells or dumbbells to arms' length overhead. 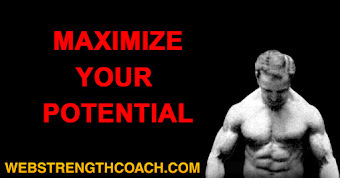 If you do that, you will deliberately interfere with your own progress to such an extent that you will never get as big or as strong as it is possible for you to be. When a man starts training with a bar-bell, the sensible thing to do is to adjust the bell to moderate weights; and, in each exercise, the weight of the bell should be adjusted to suit the strength of the muscle, or set of muscles, which are used in that exercise. Since some muscles are much bigger and vastly stronger than other muscles, it is naturally impossible to develop all the muscles to the limit by using a bar-bell of one fixed weight. For a beginner, even a 50-lb. bar-bell would be too heavy for use in some of the single-arm and shoulder exercises, although it might be too light to be used in such exercises as those described in Chapters 2 and 4. The first thing to do is to increase the size of the chest, and to increase the strength of the lower back, and the size and strength of the thighs. During the first two months' practice, the arm and shoulder exercises are comparatively unimportant. Notwithstanding this, an uninstructed beginner usually spends almost all his time trying to develop his upper arm by pushing heavy weights aloft. When you start training, you must keep a tight rein on yourself; otherwise, you will plunge right into overhead lifting. The darned thing is so fascinating that there is a temptation to continually "try yourself out" to see whether you can push up a pound or two more than you did the day before. 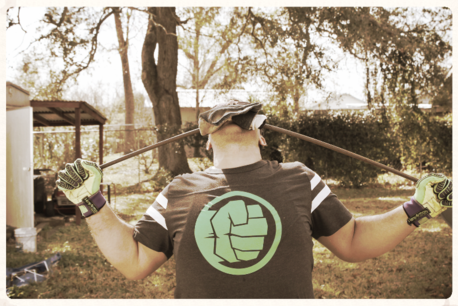 Then some friend drops in and says, "Bill, I hear you're training with a bar-bell. How much can you put up with one hand?" Such is your pride that you immediately proceed to "show" him. Then he wants to try it; and if he has never seen any other bar-bell than yours, the chances are that he won't lift nearly as much as you can, even if you have been training for only two or three weeks. So he goes out and hunts up some big husky friend that he thinks can beat you, and brings that fellow around. The first thing you know, instead of practicing your developing exercises in private, your exercise hour becomes a sort of reception, and all the time is spent in trying to outdo your visitors. All the training during the first few months should be done in the privacy of your own room, or your own cellar. You can use a bar-bell in any space where you can use a pair of 5-lb. dumbbells. 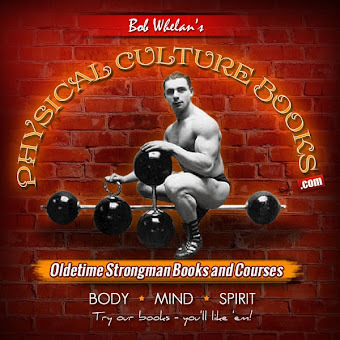 When practicing actual lifting, it is sometimes necessary to let the ball fall; although I know men who have become star lifters by practicing in their own rooms, and they never dropped a bell. In practicing the developing exercises, there is no likelihood nor necessity for dropping a bell. The reason for privacy is the necessity for intense concentration on the work. I do not mean that you have to grit your teeth and get red in the face, or flex your muscles by mental effort; but that you do have to pay a lot of attention to the way you are doing the different exercises. In any exercise, a few repetitions performed correctly are of more benefit than three times as many repetitions performed in a slovenly manner. If you feel that you must invite someone to watch you practice, pick out some chap who is familiar with bar-bell work and who will be able to explain to you the details of the exercises. After you have gotten your strength and development, then, if you want to practice lifting, you can take your bar-bell to a gymnasium; but you should pick out a gymnasium that is patronized by other lifting enthusiasts. By that time you will have gotten a very good idea of the measure of your own powers, and you will know just how much you can lift; and when you lean over and lift a bell from the floor, you will be able to make a very accurate estimate of its weight, and can tell by instinct whether or not it is in your power to lift it in a certain manner. Since the other lifters will have just the same experience and the same good judgment, the lot of you can practice competitive lifting and learn a good deal by studying the lifting style of the various members of the group. If you suggest to the average undeveloped man that he take up bar-bell exercises as a means of development, he will reply, "Oh, I don't want that kind of exercise! It's too much like work. All my friends go to a gym, and play handball, or join the class-drills. The proper answer would be, "Well, what do your friends look like after they have spent two or three years at class-drills?" Class-work is a lot of fun. You meet your friends; and after a lot of dilly-dallying, you stand up in rows and try to imitate the different movements of the instructor. You stretch your muscles, shake up your liver, get in a mild perspiration and give your lungs a little moderate work. When the drill is over, you all troop to the showers and do a lot of shouting; and afterwards, you all go away telling each other how "perfectly bully" you feel. After the first two or three sessions, any excuse is good enough to keep from going to the next class-drill. If you did keep it up all winter, you'd be benefited to some extent. Your muscles would work easier and would gain in tone. Your digestion would probably improve, and so would your complexion. Understand me, almost any kind of exercise is good; but class-drills are more like play than serious work. When an instructor is about to give a drill to a large group of men, he has to gauge the severity of the work by the capability of the average member. Therefore, if you are bigger and stronger and more athletic than the average, you feel that you're being kept at kindergarten stunts; and if you happen to be fat, middle-aged and out of condition, you feel that you're holding back the progress of the rest of the class. In many gyms there are what is known as "leaders' classes"; but I believe that such classes devote themselves, not to bodybuilding work, but to the performance of elaborate stunts on the rings, the vaulting-horse or horizontal-bar exercises. I have always been very much more interested in individual supremacy than in mass results. A regiment of soldiers drilling, or a couple of hundred gymnasts performing a mass-drill, bore me exceedingly. The very fact that so many individuals are doing the same thing, or making the same movements, is the best possible proof that those movements are easy to perform. If I go to a performance of an opera, I endure the singing of the chorus until the principals are again on the stage. You would have to pay me to make me sit through a performance of an oratorio, or a cantata, by a big chorus; although I would pay a high price to hear in individual singing star, like Ruffo or Chaliapin, Hempel or Destinn. If I go to the Russian Ballet, I feel that part of the time is wasted when I have to watch forty or fifty girls doing toe-dancing movements or other evolutions at the same time; but when a great star like Nijinsky, or Nordkoff, or Pavlowa dances, I am all eyes, and I feel that I am getting more than my money's worth. When it comes to gymnastics and athletics or bodybuilding work, I carry my likes and dislikes even further. One time there was a big convention of gymnasts, and the main feature was a mass-drill by 1000 men, who came from gymnasiums all over the country. I was specially invited; and the men who promoted the affair never could understand why I did not go to the Exhibition. The reason was that on the same night I had a chance to see at a local theatre, the performance of a pair of wonderful hand-balancers. Both of these men were superbly developed and enormously strong. They were living examples of what can be accomplished by specialized and individualized training. In order to do their act, each one of them had to have far more strength, agility and suppleness, than is possessed by the average athlete; and I learned more and got more satisfaction by watching them, than I could possibly have gotten by watching 1000 average gymnasts of average strength to average stunts. Therefore, I am not very much impressed if I read a report stating that a class of forty men spent a winter at gymnastic training, and that at the end of the season, the average gain was 1 inch in chest measurement, 1/2 inch in arm measurement, 3/4 inch in leg measurement, and 5 lbs. in weight; because I know that the weakest member of that class, if trained individually, could have gained 4, or maybe 6, inches around the chest; 2 inches around the arms, and 3 inches around the thighs; and gained 15 to 25 lbs. in bodily weight. You can't get results like that in class work. Moderate improvement can be made by class work; but great improvement is a matter of individual instruction, individual training, and individual study. 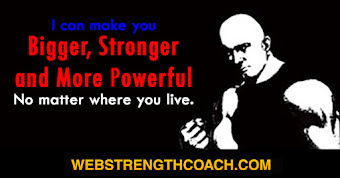 It is just as impossible for the best instructor in bodybuilding to give individual instruction to a class of twenty-four as it would be for a great music teacher to give twenty-four pupils real results if he made them sit down at twenty-four pianos and play the same music at the same time. If a gymnastic instructor could take twenty-four pupils one at a time and give each one of them fifteen or thirty minutes' special instruction, he could perform wonders with the majority of them; but that would not be class teaching, but individual teaching. There is no "simple and easy" way of getting a magnificently built body and the super- strength which goes with such development. It is just the same as in any other work that you do for the purpose of improving yourself. In the columns of some magazines, you will find advertisements which claim that if you pay a fee of $2.00 or $3.00, you will be sent a "new method" which will convert you into a first-class pianist in the few weeks it takes to complete that special course of lessons. There must be people who believe such statements, because the advertisements continue to appear; yet if you know anything at all about music, you also know that it takes several years' study before a pianist reaches the front rank of players. If you went to a good music teacher and told him that you wanted to become a piano player like Paderewski or Hofman or Godowsky, he would reply, "Well, I will teach you all that I can; and you will have to give up a lot of time to it and practice several hours a day. After I am through with you, you may have to go abroad for a year or two and work in one of the big conservatories, or go to a man like Letzitsky for special coaching." If you did make such progress that a trip to Europe was justified, you would go with the foreknowledge that you would have to work and study even harder under the great coach, than under the preliminary coach; and that the large sums of money you would have to pay would not be for drills in the elementary part of the work, but for special knowledge. To get a magnificently developed body is a much easier matter than to become a great musician; but the principle is the same. You will never get to be very strong by elementary gymnastic exercises, any more than you will get to be a great pianist by practicing easy five-finger exercises for a few months. To master the piano or any other instrument, the performer has to learn the theory of music as well as the technical mastery of the keyboard. If a man of average size, poor health and little development, wishes to get the strength, shape and physical energy of a Sandow, it is not sufficient to know just which exercises to do. He must know how to do them, and why he does them. A knowledge of muscular anatomy is a great help to anyone who is taking a bodybuilding course. There are over 200 muscles in the body; and at first glance, it seems as though it would be a tremendous task to learn the names of those 200 muscles, where they are, what they do, and how to develop them. If you are interested, the knowledge will come easily. I know men who can instantly tell you the 1923 batting average of any of the 200 baseball players in the big leagues. They carry those figures and a lot of other baseball dope, in their heads. They did not study hard to get that information, but absorbed it in the course of their daily reading of the sporting pages. If you use your muscles intelligently, it won't be more than a few days before you know the names of the principal muscles and what they do; and it will not be much longer before you know the names of practically all the muscles. Such knowledge of anatomy is not absolutely necessary; but it is a great help.